These issues were first reported by TreoCentral on October 19th. Palm and Sprint are aware that 700wx customers have been experiencing issues sending SMS messages within and outside the Sprint network. 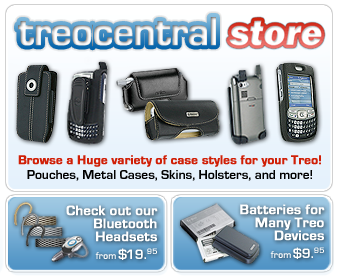 In some cases the message may not be received or the target Treo handset will receive a duplicate message. We are working on an update which will be available via the web or over-the-air by the end of the year. In the meantime, Sprint customers may request credit for any charges incurred as a result of this error. So basically (my own words): Sit tight, we know it's a bad situation and we're working on it. Oh, and go ahead and dial *2 and ask Sprint for a credit, they'll give it to you. I believe I speak for all 700wx users when I say *Sigh*. There is still no official indication as to what the actual issue is, though there are plenty of guesses and clues in the (now gigantic) TreoCentral forum thread "Issues sending text messages to other cell carriers". Please continue to discuss the story there.